Cinemaware is Back on AmigaOS! AHHhhh I still seem to be playing catch-up on all the new releases for Christmas and the New Year, Many thanks to all the people who sent me information; or pointed me in the right direction for the News section of the magazine (yep its the largest section this month again). I did have 2 people volunteer to submit material; so I thought I would be home and dry with this issue, and maybe even push it out as an early release! Sadly; and even after various emails; the contributions never materialised, emails dried up and have left me with a very empty magazine this issue. So.... in this issue we have lots and lots of a news and a few games reviews; and that’s about all sorry! Although I have been asked to provide more reviews; so at least someone will be a happy bunny when they read the magazine this month. It would seem we have loads of new Vic 20 games being released, and or worked on or appearing for the first time after completion many years ago! So some new releases are older titles that have raised their heads, again; having just submerged their heads above water for the second time and been just sighted on the radars of Commodore users worldwide! Interesting too (and you will read about this in the news section) that the Commodore club FCUG decided to do a remake of the original Commodore sx64 commercial “keeping up with Commodore” I think this commercial was never released in the UK. (well I don’t remember seeing it in my “Ahem” youth or youf) the remake is quite an amusing tribute to the machine, personally I was never taken with the original advert anyway; as it all seems a bit to camp for me! Also in the news in a link to the original advert so you can see how good or bad it was when originally released. I recently ventured back into my Den/Man cave/Computer room; not that unusual but this year it’s been some time since I went in to check on my Commodore setup. I have one machine at the door with uIEC and cables ready to hook up to the downstairs TV and do some testing as and when I see or review titles for the magazine. However the rest of the room homes about; 5 commodore 128D computers a couple of 128 CDr machines, 2 vic20 computers an Amiga 600 Amiga 1200 and an Amiga 4000/25, I sold my 500 and wished I never had done! oh and of course a few breadbin c64`s and 4 c64 mark 2 or c64c a c64GS that seem to develop a new fault each time I try to power it on! And various cable boxes and drives and accelerators; along with cupboards stuffed full and bulging of games paperwork and educational titles. Anyway; after a small amount of play tidying; I got on with the real reason I went into the room, and that was to check everything was working! “nothing”! no power no light “nothing”; I tried another Commodore and this was just the same! So after some trouble shooting; you know the usual; like looking at the fuse in the extension lead; then the fuse in the Commodore machines; I decided to try the machine outside the door; as I knew this was working. And just to make sure it was; I took the machine down stairs and plugged it into the TV. in the living room. “nothing” after pondering on the problem for some time; I started thinking about loyalties people have to machines. I mean you have Apple users who own iPhones, iPads and Macs and wouldn’t buy anything else, they often hate windows machines and of course Microsoft. You have Microsoft people who love the upgradability of the Pc clone; and can often over look small crashes (not that apple machines don’t crash that is) heck even my “generic Android phone” has had its moments; where I fixed it with a power off and back on again! Then I thought back to school where people fought over Commodore and Sinclair (mine is faster, yeh but mine has better music and graphics, technically mine is superior because....etc...) and sometimes people are blinded by buying into one technology or even a brand. I must admit; I was swayed to a BBC micro as well; although I never actually persuaded my parent to buy me one of these; not as well as a Commodore 64 and a Vic. One of my friends had a BBC , and a copy of Elite, we played the game to death, and I still think it’s the best version of Elite ever released. Now don’t get me wrong; I loved the Vic and the Commodore 64 but when it was time to upgrade; I looked over the Atari St range of machines, and it was a tough call; but for me the Amiga 500 won, (now that is a long story as to why) the same happened when I was upgrading to a 4000 I went for this in favour of the Atari falcon, nut again it was a close call. However when Tempest came out for the Atari Jaguar and then doom! I was very swayed toward this console over the Cd32; in the end however I couldn’t decide between the two and bought neither machine! So really I am not a True heads down Commodore user; and I know various machines have faults, anyway after dwelling on this I realised something! Something rather stupid, and to do with faults! We had an electrical fault; and they changed the main feed to the house because it was live! When they did; they had to power off the fuse box or consumer panel, when it was powered back on; the lights in the kitchen didn’t work because they had “tripped out”! the fuse had clicked off because it was very sensitive, clicking it back on caused them to flicker to life. So I went down and checked the switch marked “Man Cave sockets” on the distribution panel, and it was one of those moments Homer Simpson has where he shouts “DOH” I flicked on the switch and ran back upstairs to see 3 machines and TVs instantly power on and flicker into life, I then opened a drawer and found my long lost Commodore 16 right next to a Commodore calculator! And put on my Commodore T shirt! I may not be a True Commodore man; and have swayed to the black arts; as some used to say; but, heck, was I pleased I had these commodore machine working right now in my cave. I sat looking at the screens with the warm glow of the various colours wafting over me; and picked out a game, I typed load “*”,8,1 and the machine sprang into action, the music pumped out and the screen loading picture changed. Man you just cant beat this feeling and you just don’t get this on modern machines whatever badge they have on them! Did you enjoy issue 67's cover tape. We had some less exclusive material, but do our best to keep the tape going. We have two exclusive games, courtesy with Alf Yngve and Christian Siege. A playable preview of an upcoming RGCD+Psytronik Software game title. There is also a very handy utility on the cover tape as well, which we have found on an old Public Domain utility disk. While we are on the subject of the Commodore Free E-Covertape. As you may know, these days it is very difficult to find new exclusive material for the C64 cover tape. If you are a programmer, or created anything using any particular game creator, without any form of copyright infringement, please send us your submission. We will be happy to master the program on to the cover tape for you. Finally, you may have noticed we have a brand new feature has been added to Thunderload – Series Six, with huge thanks to whoever requested this option. The loader now has a special “Load complete, press space” message for after loading has successfully finished. We have also increased the loading speed, to a possible high speed. This is only for a trial period. If the loader speed fails a lot on native C64 tape decks, please let me know at richardbayliss.c64(a)gmail.com and I'll decrease the loading speed for the next cover tape. Alf Yngve has kindly produced us exclusively for Commodore Free this nicely polished Shoot Em Up Construction Kit title. Alf has been well known for many of his classic SEUCK titles, and his amazingly clever tricks for his games. However; Grayhawk 2013 is yet another of his promising games. This time it is a vertical scrolling blaster, inspired by Firebird Software's Warhawk (Originally created by Proteus). It is the year 2167 and planet Earth is under a major threat of an alien invasion. That's right – an alien invasion. According to our satellites, aliens are gathering forces on various asteroids. They are even gathering resources to build a deadly weapon. That of which is a huge threat to not only Earth, but the entire solar system. We have sent out Grayhawk ships into space, to find out what is going on – and we have discovered, the aliens are maintaining sources to build a huge intergalactic bomb. One of which could make a huge impact on all of our planets. As a Grayhawk pilot, you have been assigned to fly through each giant asteroid, shutting down all alien defences. Simply by zapping lasers at them. Unfortunately you will not be alone in each asteroid. The aliens are also ready to do battle against you. Shoot all aliens in sight, or try to avoid them. The aliens are that hostile, they will try to fry your ship. Can Earth be rescued or will the entire universe be penetrated by the alien's mega weapon? Usually we are putting full games on to the cover tape. This time, we are happy to bring you an exclusive playable demo of a brand new game I have been writing for the RGCD cartridge and Psytronik Software. It is a game called “Sheepoid DX”. For those of you who remember Sheepoid, this game is a deluxe version of the crazy game. This game was of course inspired by Laser Zone by the Yaktastic Jeff Minter. This demo version of Sheepoid DX features smarter graphics and sounds, and also 4 fun levels with really nice in game graphics and effects. The type of effect you would expect with a Psychedelic game. Unlike the original Sheepoid, there are no silly quotes at the top of the screen. This was to make way for the clever warp laser effects for where the aliens enter the screen. Alien presence has been spotted down on Earth. It looked like a harmless space craft at first, but we wanted to be sure. So sent two sheep (the sheepoid) into the space craft. Looking through the cameras, we have discovered warp tunnels inside the ship. The sheep was then sent through the warp hole to each deck on the ship – The neon vortex. Sheepoid DX is going to be a game, given away in a double pack with Woolly Jumper V3 on disk, tape or cartridge. Please read the scroll text on the front end to find out more about this game. We hope you will enjoy playing it. This is an enhanced BASIC programmed game, in which has been written exclusively for this issue's cover tape. The music in the game is a rendition of the 1969 soundtrack, Popcorn by Gershon Kingsley. C64 conversion by yours truly :) This game feels like one of those BASIC type in games, which you get from a programming book. Thus next week, we will be doing our own type in special. The aim Wormhole Ride is to guide your shuttle through 5 levels of the wormhole. The only trouble is that the Wormhole is not a straight forward path. The path has been badly built, which means that you are in for an uncomfortable ride. Therefore you have to dodge the rocky walls and avoid crashing into those. One slight hit, and your ship becomes space garbage. To move your player you need to keep tapping the A / D keys to move left/right. Next issue: We'll be giving you a BASIC type-in game and bring you an enhanced version of it for the cover tape. Here is yet another great fun game for this issue's cover tape. We were actually going to save this game for the next issue's cover tape, but we didn't want you to wait any longer. As Achim Volkers has done a great game, and it'd be a shame to not release this one on the cover tape. You are an intrepid explorer, who is searching in the heart of the Yucatan forest, for artefacts to send back to the National Museum of Historical events. Unfortunately, the natives and the jungle critters don't like you very much. The natives want you out, and the critters, they just want you for lunch. Your task is to explore the jungle and villages, and pick up the idol artefacts. You will have a fixed quota to pick those idols up. Some will be in awkward places, which will unfortunately be impossible to get. Luckily, help is at hand. Strewn across the jungle are bombs. You can pick those up, and blow up anything in sight. Hint: only bomb awkward places, where you cannot get your hands on those idols. Do not waste those bombs. Also try to avoid placing bombs next to idols. Once they explode, the idols could be destroyed. As soon as you have picked up enough artefacts, you must make your way to the end of the level, to move on to the next level. You will be rewarded bonus points for a level completed, then move on to the next stage. Where you have to match the quota once again. Can you complete all stages of Yucatan, or will the natives and critters prevent you from achieving your goal? I have been digging back through the old PD disks (Mixed Utilities 11), and I discovered this classic program. It is called the 6510+ Assembler by David Weaver. We have included both the installer and also the actual assembler, itself on to the cover tape. The installer will allow you to save a copy of the 6510+ assembler from disk. Next issue, we will be starting a fun and quick to learn tutorial on programming the classic 6510+ assembler and getting more out of it. We shall also be making use of the Machine Code monitor as well. So then what is happening on the next issue of Commodore Free's cover tape? Well, we'll have some games maybe another playable demo, and maybe a handy utility. We also have something EXCLUSIVELY SPECIAL for the next cover tape. What ever it is, you're wondering, it is TOP SECRET. Nobody will know until issue 69 hits the scene. its an emulator for the Commodore 64 that runs the Atari classic game asteroids, here is some information about the program from the website and on the site is the PRG file to load and run on real Commodore hardware. Since the nineties, arcade emulators like MAME can emulate the classics like Asteroids on the PC or the Mac. This program is an Asteroids emulator for the Commodore 64. The "emulation" of the arcade machine's CPU is done natively by the 6510 processor of the C64. The video and sound hardware is simulated by the Asteroids emulator program. In this way, the original arcade game program is executed and interpreted, and the original game play is (more or less) exactly reproduced. Commodore Free: Its not silky smooth but its working, even the sound works! "trackmolinker.exe" "LINKNEW.C64LINK" -INC "TRACKS DATA.INC" -L0 -LF -D64 "DETERMINISTICLOAD"
save file with info of tracks "TRACKS DATA.INC"
make d64 file named "DETERMINISTICLOAD.d64"
check the batch file "createsample.bat"
For determ loader files should be saved with interleave 4 - why 4 and why interleave? Special option added - SPLIT FILE - You can split on the more parts this file and done partial load of this. Crunch files with the Bongo cruncher, the software has an option to set manually change the settings or you can just load a file and crunch it with the default settings at the click of a button! It is the year 2173. Planet Earth was full of peace and hope, until one day - while everybody was fast asleep in bed, snoozin' away, dreaming of good things. Aliens hovered above the towns and cities searching for a good source for an invasion. The humble tomato. The very next day, everybody woke up to hear on the radio that an unexpected series of objects are floating above the city. Scientists looked above their telescopes noticing that it is a tomato. When saw tomatoes floating above the sky. They found it to be hilarious. Unfortunately, what they thought were hilarious, turned into horror. One of the tomatoes swooped down, and sucked a victim. The city was turned into turmoil. People panicked and they started running for their lives. Some of which were just too dumb to even enter back to their flat and office buildings. The president called for help, and thankfully help comes at hand, by a world's famous heroic leader in the technology market, and Skyship industry ... YOU ... That's right, you are the chosen one. Use a joystick plugged into port 2. Your mission is to pilot your Skyship through the towns of cities, which are infested with deadly mutant tomatoes. Blast your mega double laser beams at 'em. They are the main cause for chaos. Luckily for you that's your only mission ... Or is it? Seriously not. Your mission is to travel all the way across several towns and cities, and countryside. Not only do you have to shoot the tomatoes, but you also have to rescue the people who are stranded on top of buildings or elsewhere. Simply pick them up in the right place, but DO NOT CRASH INTO MOUNTAINS, BUILDINGS, STRUCTURES or any other background. (Light houses you will go past). At the end of your journey, blasting through the small tomatoes. You will end up facing the final ordeal by fighting against the MEGA TOMATO. This evil guardian requires 50 shots before it gets destroyed. Those tomatoes will try their best to destroy your space craft if they get near to you - or you get near to them. Can you save the world from complete fruity chaos, or will the Mega Tomato dominate this planet?. ... I say good luck pilot. Get blasting. Hope you have loads of fun playing this daft blaster. Now you can rip those pictures right out of memory on a Commodore 64, the Disk image download also has a couple of games, commando and international karate added as well as a Kola picture viewer. Small Note to Picture Ripper This is a bug fixed version, first didn't exit to Basic properly. Now it also uses cartridge turbo! If the border turns red you are in emergency mode and the bottom part of the bitmap is corrupted. Don't worry, it will be fixed before save. 1) Added the EasyFlash 1MB cartridge. A simplified emulation of the AMD Am29F040 EPROM permits writing and passes EasyProg v1.6.3 tests. 2) Fixed freeze and soft reset to spread randomly through the frame to improve the chance of a successful freeze. 1) New cartridge emulation with freeze function. Peter Schepers CRT format is supported. The following cartridge emulations are supported. The CRT reader uses the in file reported chip bank numbers and not the order they appear in the file. 2) Fixed misreported raster position in the debugger when starting a new frame. Hoxs64 is an attempt to accurately emulate the Commodore 64 computer. A cycle based CPU, VIC, CIA and SID. All possible screen effects should work. Support for .TAP, .PRG, P00, D64 files. Core 2 Duo 1.5Ghz or Athlon 2Ghz or Pentium4 3Ghz. 64Mb Graphics Card with good hardware capabilities. The keys on the PC keyboard map to keys on the Hoxs64. The less obvious keys are as follows. Full screen mode can be toggled on or off with the [Alt Enter] key combination. You need to be in windowed mode to access the menu. TIP: Users with slow computers can improve performance by selecting audio downsample and disabling the 1541 drive when drive emulation is not required. These options accessed in the emulation settings menu. Loading a D64 (Disk drive) game. Press F12 to reset Hoxs64. From the menu select Disk / Insert and browse and select a .D64 file. It has been noticed that some loaders use the screen area as a temporary work space. Some of these loader only work if you type the LOAD and RUN commands in a space near the top of the screen. Some games like "Frankie goes to Hollywood" do not like to have a disk drive connected to the C64. The disk drive emulation can be disabled from the settings menu. Wait for the black boot screen to go away. From the menu select Tape / Insert and browse and select a .TAP file. Hold Shift and press Tab on the PC keyboard, which will send a shift - [run/stop] to Hoxs64. From the menu select Tape / Play. Wait for game to load. Loading a .PRG or .P00 game image. From the menu select Tape / Load image and browse and select a .PRG or P00 file. Type RUN <RETURN> on the keyboard. Wait for game to start. The mission objective for Blok Copy is simple; the play field contains seven distinct designs of tile arranged into columns of five and, at the start of each level, those tiles are shuffled around; the operator must then reorganise those tiles to resemble their starting order to unlock the stage and progress to the next until all ten levels have been re-synchronised. The controls are W for up, X for down, A for left and D for right, using these controls alone move the cursors at the edge of the play field to select a row and column and holding down the right hand shift key at the same time will instead cause the selected row or column to move. This PETSCII version of Blok Copy came about by accident; the first step to building the C64DTV2 version was taking the PET code and converting it to the C64 - during that process, T.M.R pushed in a previously unused tune by Skywave and this is the result. This probably seems a somewhat redundant release since the C64 version has the hidden PETSCII mode as well, but it seemed a shame to leave it just festering in a work directory when a couple of the play testers felt it should be released. Guide your sheep through the farm avoiding various hazards, and collect fellow lost sheep along the way you throw sausages to scare the various creatures off beware of the foox who will steal you fello sheep! Every official AmigaOS Plush Boingball is ca 15cm in diameter and exclusively crafted by hand by a famous German plush article manufacturer. An enclosed certificate proves this and makes each plush Boingball absolutely unique. The exclusive production in Germany ensures that the washable AmigaOS Plush Boingballs are free of any toxins and thus toddler-safe without limitation. Whether as decorative detail on the desk or as cuddly toy for every budding Amigan, the official AmigaOS Plush Boingball is qualified for every age and should not be missing in any household. Cut and/or join multiple format video files. VideoClipper v1.1 adds several new feature including the ability to add a subtitle and/or audio file to the joined videos. In addition, it now support automatically reading and entering the Start and End times directly from MPlayer (via ARexx) with a click of a button or press of a key. Many other features bug fixes and user request have been implemented. See change list below for full details. VideoClipper is a Author for cutting and optionally joining various format video files while converting the files to a common format During conversion several adjustments (Video Effects) can be made to the individual files. These effects include adjusting brightness, contrast, gamma. Additional effects include applying sharpness or blurring along with adjusting the speed (fast/slow motion) and rotation. You can also add a subtitle and audio file to the joined video. VideoClipper uses mencoder to cut/join, convert and apply effects to the video files. In addition it uses mplayer or MUIMplayer to preview cuts and changes as well as view the results. These programs can be found at www.OS4Depot.net and must be installed for VideoClipper to work. Unexpanded VIC-20 + Disk Drive. A simple street fighting game. I must have made dozens of ASCII fighting games on the VIC-20 back in the day. So I made one that was somewhat complete with actual graphics, but I never properly finished it until now. To play, you use the function keys to perform jump, punch, kick and dodge against various enemies. Steer a glider. Avoid trees. Collect Bonuses. Achieve high scores. While most people would instantly dismiss anything written in basic Jeffrey Daniels doesn’t seem to listen to peoples comments, and why should he because with some ingenuity and lateral thinking Basic can still be used to create entertaining games, the problem of course is the games tend to be slow, but not here as the plain zipps over the screen at some pace in fact I almost think it goes to fast! True the game looks spares apart from some trees; and you will find it quite monotonous as you repeat the same thing over and over, but its a fun release and it is what it is. Use the joystick or keyboard (both cursor keys) to steer a glider left and right as speed increases with each screen. Avoid trees, collect random bonuses and "slow down" icons. High scores are stored in memory. They will remain even when the program is stopped. To delete high scores, press Shift D at the title screen. Unexpanded VIC-20 + Joystick + Disk Drive. A proof-of-concept for a track and field action game. The 100 meter dash was the only event that has been programmed so far. Well it needs some work to turn the program into a full Olympic release! But as it stands and calling it Dash and bearing in mind this is running on an unexpanded machine then we have the good basis for a program, I would of course like to see more events, and the running control is quite original, I also think the graphics need a little work as when the runner is in the ready position he seems to stretch out longer than when in the actual running stance, Still lets hope the author continues with his work to produce a full Olympic event! If you look at the coming soon it does make you want for more! In the Dash you control the player with a joystick and basically move it in the direction the arrow at the top of the screen points to! As I continue to resurrect my lost VIC-20 games, I bring you "Olympic Dash". I had made an ASCII 100 meter dash and javelin throw event-based game back in 1988 and me and my friends spent many an afternoon mashing the joysticks trying to beat each other's records. In 1996, I had made several graphics for a multi-event track and field game (in the same vein as Epyx's "Summer Games" and Konami's "Track and Field"), but I had only ever programmed the 100 meter dash event and putting it aside so I could finish programming it at a future date. So instead of pondering and mulling over for another 17 years to finish the other events, I decided to make a splash screen, instructions menu and mock screen shots of the unfinished events packaged around the 100 meter event--just to finally put it out now. Despite it being a single-event game, it is still playable. Just use your imagination as to how the other events that I wanted to program would be like. You have 1 minute to defuse the bomb by joining the wires (!) to the lights. Self-made toolkit that I used back in the day with my VIC-20 projects. Released as a Zip file containing both the D64 and TAP images; this is yet another SEUCK game, I do like the naive intro splash screen though; it would look very cool on the wall in my man cave. Its as decent enough game, you move your ship left right forward and back and can fire forward and also out the side while moving to the corresponding direction, it does get tricky as you can only fly in a certain area, that’s over the sections with the square grids touching the sides of anything else is instant death. numerous things fly towards you however they can be quite easy to outwit if you remember the flight patters, although that not the say the game is in anyway easy to master, enough goes on to warrant this as quite a good game none the less is take from it being a SEUCK construction, albeit with some coding enhancements. Yet another Tetris clone, and while it may not be the best I have played; it’s far from the worst! The music may drive you nuts; but you can turn it off, although doing so means you are playing without any sounds and the game itself doesn’t produce any noise apart from music, that’s now turned off! Also the white screen with background of the same colour will make your eyes go wonky after some time playing the game. The release is a CRT file or cartridge file, not sure why a PRG or even D64 wasn’t in the archive as well; as to most users this would be the preferable method of transferring the game to their commodore machine. Also included with the release was a link to a VBS file, although I couldn’t get this to run on my PC. Here is the information out of the games accompanying text file. S-Blox is a clone of the old standard, Tetris. As such, the object of the game is to complete rows of 10 consecutive blocks. Blocks are delivered in one of seven shapes. Each shape is made up of individual blocks. When a shape is placed into the last row which allows it to move, the row is checked for completeness and if it is complete, the player is rewarded with points. This can certainly be entered for the most bizarre game competition, and would probably make it into the top 5 without any issues! The game itself (and this is my personal findings) appears to be a 2 player only game where you try to destroy your opponent using the joystick to control; what some could say is a mouse or a bird type thing? If anyone actually understands how you score, or how the actual game is played I would be interested, as it is its very unusual with very striking graphics/visuals, no instructions are included and I wasn’t 100% sure on what I was actually doing. This PAL/NTSC compatible cartridge version of the game features the intro sequence, instructions and main game all included within a GS-friendly joystick controlled menu system designed by Enthusi (Dr. Martin Wendt). Some minor bugs were fixed (raster splits improved), but otherwise it is the same as the previous version without the minor hassles associated with using disk or tape media. Priced at £24 inclusive of UK/Europe shipping, and £25 for the rest of the world, Kobayashi Maru: Final is available to buy from our shop page now! Following on from last year's authorised cartridge release of Fortress of Narzod, this compilation of frantic shooter MineStorm and oddball platformer Spike complete Peiselulli's acclaimed 'Vectrex Trilogy'. Originally developed exclusively for the Vectrex console, through negotiating with Jay Smith of Smith Engineering/Western Technologies (via his son Spencer) RGCD and TRSI are proud to present the official C64 conversions of two undisputed retro classics. Featuring PAL/NTSC compatibility and save-disk support to keep a record of those high scores, Spike and MineStorm require no keyboard input and are designed to work on the C64GS as well as regular commodore computers. More information can be found on the games over on the project page. Spike/MineStorm is available in two packaging types, a standard card carton and a 'deluxe version' that comes in a plastic case (a Universal Game Case with a specially cut foam insert to hold the cartridge). The game itself comes in a dove grey cartridge shell, complete with a printed manual and a vinyl RGCD sticker. The standard version is priced at £25 inclusive of UK/Europe shipping, and £26 for the rest of the world, whereas the deluxe version costs £30 (UK/Europe) and £32 (rest of world). Initially entered in the 2012 16KB Cartridge Development Competition (where it secured 2nd place), Assembloids has been further refined and enhanced for this final retail version. Based on Photon Storm's excellent Quartet game, Assembloids is a frantic reflex-based puzzle game in which you must assemble faces from four different sets as quickly as possible against an increasingly tight time limit. Featuring open border design, high-score codes so you can keep a record of your achievements and full (comparable speed) PAL/NTSC compatibility, Assembloids requires no keyboard input and is designed to work on the C64GS as well as regular commodore computers. Read more about the game on the Assembloids project page here. This retail cartridge version of Assembloids is available in two packaging types, a standard card carton and a 'deluxe version' that comes in a plastic case (a Universal Game Case with a specially cut foam insert to hold the cartridge). The game itself comes in a lime green cartridge shell, complete with a printed manual, two code sheets for recording your scores and a vinyl Assembloids sticker. The standard RGCD cartridge version of Assembloids is priced at £20 inclusive of UK/Europe shipping, and £21 for the rest of the world, whereas the deluxe version costs £35 (UK/Europe) and £27 (rest of world). The Psytronik cassette version costs £3.99 (plus shipping). Note that the RGCD competition version of game is available for free download over at the Commodore Scene Database (CSDB) or directly from the game page here. Regular readers of our blog may recall from a recent post that I casually explained away some of the inactivity here due to my PC dying last month. Well one of the direct results of this mishap is that I completely failed to announce that the retail versions of C64 hits Soulless, Space Lords and Get 'Em DX are now all available for free download! (This was originally planned for Christmas 2012, so I guess a belated seasons greetings are in order from RGCD, Psytronik Software and p1x3l.net). You can grab the games from CSDB using the links above, or Get 'Em DX direct from our own game page and Space Lords via p1x3l.net, and they all come complete with instructions and are available in multiple formats (where possible). If you don't have a real Commodore 64 computer handy to play them on, we recommend the VICE emulator (which has recently been upgraded to version 2.4, don't you know). Of course, if you want physical copies of the games for your collections (and who wouldn't?) then they are all still available to buy on cartridge from us here, and disk and tape users can buy Get 'Em DX and Soulless from Psytronik Software. Secret Game Hidden on the Sub Hunter Cartridge! Did you know that here at RGCD we like to occasionally include little hidden extras on our game cartridges? Well, here's another newsletter exclusive - try holding down the Commodore (C=) key whilst hitting your joystick fire button on the Sub Hunter cartridge menu to load up a secret copy of Richard Bayliss' tape loader game 'Happy Blocks'. So, you've got a blog, YouTube channel, or maybe write for a magazine? Would you like us to mail you FREE review copies of our game cartridges prior to release? You would? Well, it just so happens that we are currently looking to expand the number of 'press' cartridges we send out, so if you'd like to get involved drop us a line introducing yourself, your site/channel/mag and give an indication of your current readership. Obviously we can't give cartridges away to everyone, but we will take every request into careful consideration. More game release dates will be confirmed soon! A truly open retro, indie and NexGen- Video Game Console. Play all your favourite games from past, present and future on a single device. The INDIEGO! is a retro, indie and NexGen Video Game Console. Why rebuy your old retro games all the time...? Play your originals on the INDIEGO! Based on our experiences we made with our work around AROS and the creation of AEROS (www.aeros-os.org). We provide you a single device which can run your existing Amiga (CD32), AROS, DOS, Windows and Linux games. But not only limited to those. Just insert for example a CD32 CD and the INDIEGO! will check the disc, recognize the game and offer you to run it. Same for DOS, Windows and Linux and other console games. Due to the open character and the support for Homebrew everyone is invited to add more support for more platforms and games. To offer also NexGen and all the excellent Indie games available, the INDIEGO comes with a STEAM, a desura and a INDIEGO store client. Our status, specs and how we plan to sell the INDIEGO! The work on the INDIEGO! started a long time ago.. in the meanwhile we had 2 prototype systems. All this is planned to be released for SUB 349€ in case the funding fails.. Starting from 100 preorders we can manage to offer it for 329€ and if this fundraising will be successful we can go sub 300€. 299,90€ to be honest. But since design, packaging and development time costs we need your help to achieve this goal. We also would like to get some initial funding for PR and early game development. The first beta machines will be shipped end of march. Official release is planned for the 2nd half of 2013. First dev-kits can be shipped starting from end of march, followed by beta devices. The DEV-systems will be shipped with express shipment within Europe. The INDIEGO! reference system will be produced and shipped buy us. 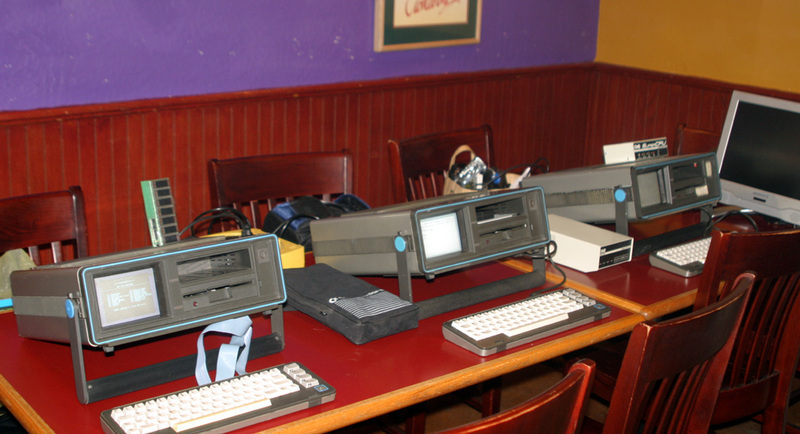 In the Feb. 5 blog he describes at length his experience with the Commodore 128 and GEOS. In the Jan. 22 blog he talks about the death of Barry Altman, CEO of CommodoreUSA, and about the international SX-64 day which was held in January. Luigi Di Fraia released a new version of TAPClean Front End. TAPClean Front End is a graphical environment for analysing the contents of tape images. Changes in this version: Enabled "TES tape" to recognize "Catalypse". Added support for "Rainbow Islands" loader. The program is available for OSX, Linux, Solaris, DOS and Windows. TAPClean is a Commodore tape preservation / restoration tool. It will check, repair, and remaster Commodore 64 and VIC 20 TAP or DC2N DMP files (tape images). AmigaOS has evolved from its humble beginnings on those original 68k systems and so has Cinemaware. Cinemaware not only has a brand new web site at www.cinemaware.com, but Cinemaware titles are also available for iOS such as Defender of the Crown® and the upcoming The King of Chicago™. You can expect many more classic Cinemaware titles to be available on a portable device near you soon! Also keep an eye out for Cinemaware Kickstarter projects which will reboot your favourite titles with HD graphics and new game play content! edit: Cinemaware have also announced this re-release on their website, their twitter account, https://twitter.com/Cinemaware/status/296298050916347904 and their facebook page. https://www.facebook.com/cinemaware/posts/474185685952603 Always nice to see some publicity for the Amiga from outside the community! Hi all - I know that this is mostly a C64 list, but I have posted the SuperPet disks in 8050 format (.D80) on my site. I want to be sure the process worked, if anyone has a SuperPet and wants to test, please download from this location and test. You can use CBMxfer to build the 8050 disks, using ZoomFloppy or whatever you have to make IEEE disks from a .D80 image. Or try the disks with your VICE for SuperPet (is there one?). I also uploaded the demo programs I wrote in Pascal for the Vintage Computer Festival East a few years ago, should anyone want some code samples. It took me a while to figure out how to print from Pascal, there is no example in the manual. The trick is to change the default console. (note I also have a D64 that I got from some place else in this dir, not sure what's on it). COLECOVISION / SEGA SG-1000 / MSX - Astrododge update ! You've probably been reading about this release is the last news update. Well, I can announce the game is finished, so here is an update on the status for each platform. Colecovision - Due to christmas-season chaos, production of the boards got a little delay (our order was cancelled without notification). However, I can tell you the boards have arrived now and the game is now being assembled. I will contact all preorders one by one with payment and shipping instructions over the next week. Sega SG-1000 - Boards are ready to be assembled, but still need to make their way back to Europe. from the other end of the world. Like the Colecovision I will contact all preorders one by one with payment and shipping once their copy is assembled and ready to ship. So please a bit more patience. The games are still available for order. Register your order/interest now and I will add you to the shipping-list! Retro Gamer magazine is running an article/interview this month in their magazine (issue 111) about the making of Mage: The Enchanted Crystals. It tells a bit about the how the game (and its sequels) were set up and shows a nice image of some of the tools I used. Avalanche (VIC20) recently got 2 reviews, both with good scores. Down! for the Sinclair ZX-81 got reviewed in Retrogamer Magazine, Issue 111 and the game received a nice 82% review score. Here's a quick preview of what's coming up. I will focus on getting Astrododge shipped out while working on some new stuff behind the scenes. [VIDEOPAC/ODYSSEY2]: Air-Assault (February 28, 2013 at the Deurne Retro Event). More on this game next month. [COMMODORE PET]: Down! will get a release for the Commodore PET. More news and announcements next month! C64List is a Windows command line based tool to aid in cross-development of Commodore 64 software, particularly BASIC software development. It converts and detokenizes .prg and .p00 files into .txt files so they can be edited using your text editor of choice on a Windows machine. And it also tokenizes and converts modified text files back into .prg or .p00 files that can be loaded directly into a C64 machine or simulator such as Vice. C64List also currently has some limited support for disassembling machine language programs; we intend to add more support for this in the future. Browsing through directories and disks is just point and click! Drives like the uIEC that can store gigabytes of software can be tedious and frustrating to navigate. NAV lets you easily work with D64/D71/D81/DNP/M2I disk images as well as "real" Commodore disks and the IDE64. Up to five drives at a time! COMMODORE FREE: Some love it others hate it, but here is another release/update to Nav for the Commodore 64 range of machines, written in DOTbasic. Personally I love it! The Nav file browser for the C64 gets a big update! There are so many changes in this version of NAV that I thought I should create a new blog entry for it. Find it in the Public Disk area here on CommodoreServer, or download it directly HERE. The font has been improved, directory listings look better. NAV now displays the number of files on the disk. LOAD and RUN the CHANGES program to read the complete changelog. As before, type "@help" in NAV to get a full list of features. You can now choose from 12 different backgrounds. I copied most of these tiles from ones used in GEOS (thanks ShadowM). Unfortunately, NAV still does not work with the Final Cartridge III. Sorry. It seems as though there is a way to temporarily disable the FCIII to allow it to work with NAV... but I can't figure it out... yet. Feel free to drop me a line if you think you can help. Please let me know about bugs, suggestions, etc. Be nice. The original Vintage Computer Festival was founded by Sellam Ismail and held in Pleasanton, California during October, 1997. Now, finally, the greater Atlanta area / southeast region of the US gets its very own! The main mission of the Vintage Computer Festival is to promote the preservation of "obsolete" computers by offering attendees a chance to experience the technologies, people and stories that embody the remarkable tale of the computer revolution. We will educate and entertain! A large premier exhibit will welcome each attendee as they enter the festival - The Apple Pop-Up Museum which tells the story of how a small start-up company, founded in a garage by two young friends, became the leading consumer electronics and personal computer company in the world. The exhibit displays an exclusive collection of game-changing Apple personal computers and consumer electronic products while presenting the history of the company since its founding in 1976 to the present. An Apple I, the first disk ][ and controller card, original apple ][, original Lisa and even a Xerox Alto are among the rare artefacts to be displayed, plus much, much more. Within the 6,000 square feet of display space that this premier exhibit occupies will be the following rooms: Pre-Apple Room, Apple I Room, apple ][ Room, Turmoil Years Room, No Founders Left Room, Jobs’ Come Back Room, Ive’s Colours Room, iPod / iPhone / iPad Room, The Timeline Lounge and Apple’s Present to the Future Room. Dozens of exhibitors will be present from all over the region, plus many from other parts of the country. A large variety of historic computers will be represented in the exhibit hall for live demonstrations by their owners. A vintage game station will be available for children and adults to play classic games on classic computer and game console systems. Two retrocomputing kit building classes will be held, plus continual, inexpensive introduction to soldering classes. Many luminous speakers and special presenters are now being scheduled. 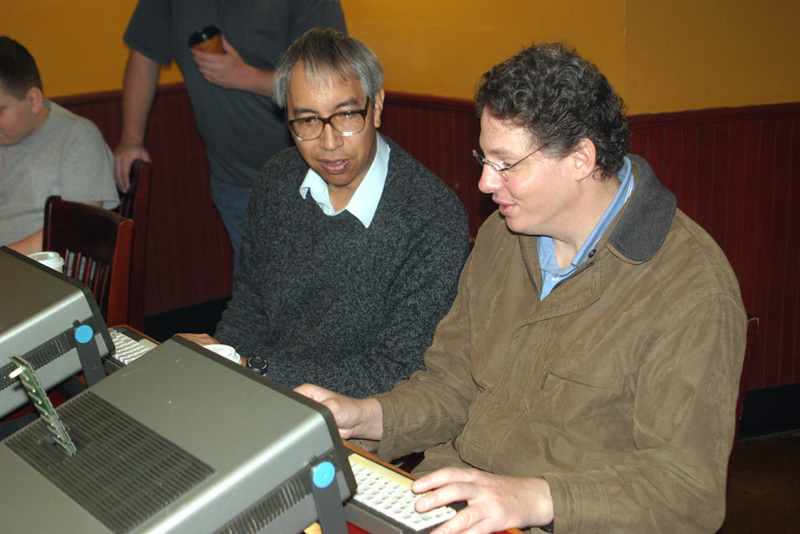 The VCFSE is hosted and produced by the Computer Museum of America and the Atlanta Historical Computing Society. A large premier exhibit will welcome each attendee as they enter the Festival - The Apple Pop-Up Museum - which tells the story of how a small start-up company, founded in a garage by two young friends, became the leading consumer electronics and personal computer company in the world. The exhibit displays an exclusive collection of game-changing Apple personal computers and consumer electronic products while presenting the history of the company since its founding in 1976 to the present. An Apple I, the first disk ][ and controller card, original apple ][, original Lisa and even a Xerox Alto are among the rare artefacts to be displayed, and much, much more. Within the 6,000 square feet of display space that this premier exhibit occupies will be the following rooms: Pre-Apple Room, Apple I Room, apple ][ Room, Turmoil Years Room, No Founders Left Room, Jobs' Come Back Room, Ive's Colours Room, iPod/iPhone/iPad Room, The Timeline Lounge and Apple's Present to the Future Room. Dozens of exhibitors from all over the region, plus many from other parts of the country. A large variety of historic computers will be represented in the exhibit hall for live demonstrations by their owners. A vintage game station will be available for children and adults to play classic games on classic computers and game console systems. Many computer industry luminaries and special presenters are now being scheduled. As my kids grow up I decided to give them an interest in electronics and coding, as a back-up to their rather healthy interest in just playing games! Introducing KodeKLIX and the PUP; a hand-held gaming console. The PUP is a simple hand-held console that provides the key elements of a game system – LCD screen, sound and user control – in a handy pocket sized package. It was Winner of the November 2012 PICAXE Project Prize. The PUP is based around a 20pin PICAXE microcontroller - its amazing what you can do these days with just one chip! The current version uses the 20M2, but the pin assignment have been selected to allow an older 20M or more powerful 20X2 chip to also be used. Several games have already been coded so far including cut-down clones of retro classics like Invaders, After-Burner and Crazy Taxi! The apps are written in PICAXE BASIC, but to help manage the gaming and hardware elements I have also created a development tool called KodeKLIX. In addition to use as a gaming platform, it can be used for a range of other hardware / software projects, and expanded through its ports. KodeKLIX software and manuals can be downloaded, and you can also purchase pre-assembled PUP boards, ready-to-go kits and expansions. THYX have announced Mai 14th as the release date for their second studio album "Below The City". The album will be distributed in the USA via Metropolis Records and in Europe via their own THYX webstore. THYX is the solo project from mind.in.a.box mastermind Stefan Poiss. > On that page, there is also a link to my summary of the meeting. In 1987, Sensible Software produced a utility called The Shoot Em Up Construction Kit. This program allowed people to write their own games without the aid of any programming knowledge. All you were able to do with SEUCK was draw your own players, enemies, create your own background and of course transform it all into a standalone game. SEUCK has been the main culprit for so many shoot 'em up games on the Commodore 64. If you take a look at Gamebase 64, and search "Created with SEUCK", you will get hundreds and hundreds of SEUCK games. Some good and quite a lot of terrible ones as well. SEUCK could only create vertical scrolling shoot 'em up games, but people even had original ideas for SEUCK games, which were made possible. In 2008, the Sideways Scrolling SEUCK was born. Here are some examples of standard SEUCK and Sideways SEUCK creations. Battle your way through the darkest most fearful place imaginable your own mind clash with repressed memories,career struggles and personal vices to overcome the ultimate foe yourself so climb aboard the 'mind craft' and prepare to face The Dark Within. The retail version of Assembloids is currently not available for free download, but if you are interested in trying the game you should check out the RGCD Competition version. After the game has loaded it will go through the a sequence of (logo, 'credits', 'how to play' and a short demo). Once you have had enough of this you can Press fire on your joystick (plugged into port 1 or 2 ) to start the game. At this point the title music stops and a countdown timer starts. You (the player) must assemble part faces using the tiles that are dropped at random into the central window, to move the tiles you push the joystick in the direction you want the tile to move, you have to move the piece before the timer led runs out, this timer is shown running around the centre tile. You have 4 faces to make, these can be from different coloured tiles, although to gain more points you must complete the faces with the same coloured tiles. Of course the game gets faster and faster as you progress. If you move illegally (in that you try to move on top of another tile) you will loose a life, the number of remaining lives are shown in the top left of the screen (with the word lives) and your current score is shown top left (where it says score). The pieces all seem to be place able however due to time and the pressure imposed on the player you will make mistakes as the game speeds up. You gain 10 points for a tile coloured mixed face, 40 points for a part mixed face and 100 points with one tile out of place. And a complete face scores 300 points with another 500 points and an extra life when you clear the board! At the end of the game you will be given a four digit CODE This corresponds to the current HIGH SCORE. note this code down; and together with the high score it can be re-entered next time you load the game (retail version only, so that’s an incentive to buy) you can attempt to beat your previous score by pushing the joystick up on the 'how to play' screen and enter the code and high score via the joystick, you can also validate your high score claims in web forums. Here I have 2 greens and 1 red and a missing piece so at the moment on this guy I am not doing to well am I! Again the RGCD team have pulled together a rather neat package with full manual for the game and full colour box and even a sticker to show to your friends. The presentation is faultless! I am judging this on the Commodore version rather than it being a remake of the original game; and as such my views are on the Commodore version. I also realise this will be an acquired taste game, if you love Tetris style puzzlers then this could be a game to look out for. Its also not a game you will play for hours and hours its one of those quick blast titles, or a game to show off on when everyone is drunk. Following last year's authorised cartridge release of Fortress of Narzod Retro Gamer CD has put together 2 more classic Authorised games “MineStorm and a rather strange platform game called “Spike” These games were originally developed exclusively for the Vectrex console, but after various negotiating with Jay Smith of Smith Engineering/Western Technologies (via his son Spencer) RGCD and TRSI now present the official C64 conversions. Both games are PAL and NTSC compatible and should work on C64, C128 and C64GS (as no keyboard is needed. The screen size is slightly reduce on NTSC machines but doesn’t affect the game play in the slightest . A SID 8580 chip is also recommended but not a necessity. The transport lanes of intergalactic space have been seeded with mines from an alien vessel. Use your mine destroying blaster to blow up the mines before they annihilate you! You may survive the floating mines, but beware of the fireball, magnetic, and treacherous fireball-magnetic mines... 13 fields, each one more difficult, await you! If you have a disk drive attached to your C64 or C128, both Spike and MineStorm can be set to automatically save your game scores to disk. To enable score saving, from the boot menu you can move the cursor at the bottom of the screen left or right with the joystick. Simply select the correct device number for your drive, and press fire to select the game you wish to load as normal. Apparently this is an official Commodore 64 conversion of the original vertex classic game of the same name . The music is pumping out some techno electronic synth pop and really fitting the game, all the sound effects are excelled, having never played the original I cant comment on how authentic the game actually is to the original title as I have seen it only once in the “flesh”; and a few times on video, the version I have seen though have much better explosions! However judged as a standalone Commodore release this is a good one! The graphics are smooth and the game play well thought out, the game looks and plays like an asteroid classic (for those unaware of the original release) and has some lovely vector style animations to take you to the levels even when you die and have to enter your high score its impressive. You are a ship in the centre of the screen you can move forward using thrusters and rotate left and right and of course fire, in this game pressing down hyperspaces you to another part of the screen but very FAST! You shoot boulders or asteroids; as you shoot them they split into two smaller boulders; do this enough and they will disappear, at random a space craft will appear; shoot this to gain a bonus, sitting in one place isn’t an option as the boulders “float around” and will hit you! Our lovely and innocent heroine, Molly, has been kidnapped by the evil Spud! You will hear her cry "Eek! Help, Spike!" as he drags her away. Only Spike can save her from this awful fate. As soon as Spike kicks open the door to the villain Spud's hideaway shouting "Oh, no! Molly! ", the game field appears. Spike enters on the bottom catwalk... and then YOU have control of him! Left to its own devices; the game rolls around the instructions/intro and high scores and the enemies guide and splash screens about its creators. You must jump large areas without platforms and can move the ladders with the help of the joystick. The music is great; nice and bouncy and the sampled sounds are good; “DARN IT”; our hero says as he loses a life, very amusing! I didn’t like this as much as the Minestorm conversion but I am sure it will have its fans, and as I haven’t played the original I can only comment on the game as a Commodore release. As a Commodore title its quite original and unique! MineStorm and Spike are copyright GCE 1982-1983. C64 conversions by TRSI, 2010-2013. Published on 64KB C64 cartridge by RGCD, 2013. Many thanks to Jay and Spencer Smith for authorising these games as official C64 conversions of the Vectrex classics. Not much to say on the title screen; just select an option you want to play or watch the into. The music is suitable for the type of game your about to play; and complete with what sounds of things like crickets clicking and of course the ubiquitous gunfire. The into sets the scene; and story line for the game series, I couldn’t find a way out of the into; so I had to reboot my machine to get the menu back, anyone enlighten me on a method to do this without the rebooting would be welcomed. If left the intro rolls through and then repeats from the beginning, it’s worth watching and of course sets the scene for the trilogy. In the early 1990s, an energetic young UNICEF worker travelled to the remotest parts of South America’s rain forests. Her job was to carry out a vaccination program among some isolated Indian tribes. She carried with her a rifle, a bulletproof vest, a bag of vaccines and syringes, and a small short wave radio. She was lost without a sign for five years. Player 1 controls The Last Amazon. Player 2 controls the trained Turkey Buzzard (armed with vicious short-range attack claws). Stage 1: Defend your village from drug dealers and fight your way to the narcotics factory. Stage 2: Your village has been destroyed! Infiltrate the army base to free the captured villagers. Stage 3: You have been captured by the military! Escape from the enemy camp and free other captives as you go. Stage 4: Battle in the treetops against the enemy helicopter and jetpack troopers! Look out for power-ups in the landscape - these will improve your score and armaments. Kill enemies in watchtowers before moving onwards. To climb fences, find damaged sections and waggle joystick left and right while moving upwards. Learn to hide in the undergrowth. This is very useful when attacked from behind. The TURKEY BUZZARD is best used if it follows in the wake of The Last Amazon. Why not let a friend join in and help you steer it. When everything else fails, RUN FOR COVER! With the words press space so I did! You now have a menu with a more suitable sound track fitting the game, slow and plenty of hi hat clicking action, that warbled synth is still there though! You are deep in the jungle and surrounded by enemy troops, as a single player you move around shooting ala commando style collecting power ups and shooting the enemies. It’s quite fast and surprisingly entertaining; especially when you think this is just a SEUCK game, again both Alf and Richard have mastered the SEUCK engine to perfection pushing it way beyond its capabilities, both these guys can really pull the best features out of the game design engine. Not sure about the two guys waving on the start screen as I couldn’t do anything with them; but the hut in the centre has something to collect, the movement paths of the enemies are well thought out and so too is the fact that some of the enemies seem to turn round and come back on themselves, of course it’s a trick but the illusion is a good one; and in the early game play tricked me enough to kill me straight away as I lay in ambush mode for the next enemy coming down; of course any soldier knows he has to watch his rear! Lots of enemies and gunfire slow the SEUCK engine down; but it’s all carefully crafted here; as you would expect with 2 expert veterans at the programming helm. Surprisingly good, its better then you first imagine, don’t let the SEUCK engine put you off at least having a look. But a South American drug lord, whose drug factory she had destroyed, wanted revenge. He sent an army of mercenaries and hit men to raze the town to the ground and kill her. Now she must defend the town and herself as The Last Amazon ... One last time? Player 2 controls The last Amazon's dog, with limited attack range. Look out for power-ups in the landscape. The drug lord's hitmen can hide behind corners and cactuses. Look carefully for their hiding places, and shoot them twice to stop them. Hide behind cactuses to avoid the fast-running mercenaries. Sandbags in the landscape will stop bullets. Send out the dog ahead of The Last Amazon to attack hard-to-reach enemies. In the mountains, find the safest footpath leading to the top. Timing your shotgun blasts is essential to success! moving swiftly on then, again the music doesn’t loop; so you could sit in silence and look at the picture or just press space to play the game ! Darn it I should have done the latter as I have sat here for well over an hour in silence and looking at a loading screen..
Again we have the menu and the music starts, it’s more of the same really starting inside this time; then moving out into the desert. You collect various bonuses and power ups, the speed of the action is up there and the amount on screen for a SEUCK Game is amazing; of course be it with enhancements; its almost like SEUCK wasn’t used at all! Its fast and furious, and the inside section where you have to navigate corridors is well thought out; with enemies blocking walkways and making it almost impossible to move, as with all SEUCK engines though learning the enemies movement patterns is the key to finishing the game. Great stuff though! If you have ever tried your hand at creating a SEUCK game of any quality you know how much effort and time is needed; and it shows with this game. Time for something special, and for UK. readers no its not mister tumble! although he does seem to be on everything these days that’s released by the BBC, maybe he is cheaper than anyone else, I dare you to say he isn’t funny though! Heck I paid good money to see him live..
OK moving on then ..
As an extra bonus the disk also contains the THE LAST AMAZON - SPECIAL EDITION. This is a special SIDEWAYS SCROLLING version of the first Last Amazon adventure created exclusively for this compilation by Alf Yngve in 2008! Player 2 controls the native tribe member (armed with a blow-pipe). On the title screen move joystick UP/DOWN to select in-game music or SFX. Move joystick LEFT/RIGHT to select 1 or 2 player game. The player 2 character (native) is unreliable and may go into hiding at any time. Save him for when he is needed. The player can climb trees and fallen logs. The Last Amazon refuses to shoot wild animals so avoid them when they appear. You can play by stealth or rush into battle - you choose! Scoring 10,000 points will award you an extra life. At the title screen we are treated to an oriental style music composition, more in keeping with an Amazon style, well more in keeping than the techno beats of the main loading screen. We are back in the jungle again but it feels more fluid somehow than the first; and our fire-power has been greatly enhanced, lots of things happening on screen and of course that can compromise speed; but again its pulled off well and doesn’t spoil the game, the cars are great although it does seem odd navigating around an enemy and then walking up to him and shooting him in the back. That’s the problem with SEUCK you have no artificial intelligence to add into the game, your enemies follow a set of guidelines or movement and these are preset. So again learning the movements can win the game, it’s a very good effort; and being sideways it breaks up the monotony of a top down scrolling landscape. Not everyone will like SEUCK , if you don’t you wouldn’t buy the series would you! If you are a fan or haven’t seen what the software can do (al be it with enhancements) this is a good place to look for shooting action and of course Artistic impressions of ladies from the Amazon! Concept, stories, artwork, graphics, sfx and game designs by Alf Yngve. In-game enhancements + additional design by Shaun Coleman. Front-end + additional coding by Richard Bayliss. Music by Tonka, Warren Pilkington & Richard Bayliss. Disk menu coding & music by Richard Bayliss. Loading screens & packaging by Jason ‘Kenz’ Mackenzie.